We are specialists in distribution of Cosmeceuticals, Nutraceuticals, Pharma & Beauty Products. All the products we retail are developed by professional researchers for maximum results and approved by health authorities. With a distribution network covering various regions, we make industry leading products accessible to everyone. We exclusively represent some of the most renowned pharmaceutical manufacturers and brands from across the globe. Our products include the most advanced hair & skin care formulas currently on the market, each containing a carefully balanced blend of modern science and unique tradition by using the most efficient and effective natural ingredients known to industry. We also cover a range of products such as nutritional food and dietary supplements. "Our portfolio is dedicated to the full range of hair care products, which have been developed by blending modern scientific research and traditional Japanese medicines"
Managing Director of Japan Emirates Trading. "Trigger is a wonder hair tonic that accelerates the growth of healthy hair by directly targeting the root of the hair by penetrating into the pore and activating the hair papilla." "JET is the sole distributor of Kaminomoto hair care products and other international products for hair care and skin care products in UAE and GCC countries including Qatar, Bahrain, Oman and also Afghanistan. " "While living in the Gulf gives all of us an opportunity to enjoy an excellent lifestyle, the harsh desert environment is known to take its toll on people in different ways. For instance, hair loss is a common problem in this region, and both men and women are compelled to take cover by trying out various products. " Kaminomoto Hair Care products are made from natural medicinal plants grown in Japan and are being used by people of all ages from around the world for over a hundred years. Kaminomoto fights hair loss, accelerates hair growth, restrains dandruff and makes hair healthy & stronger. 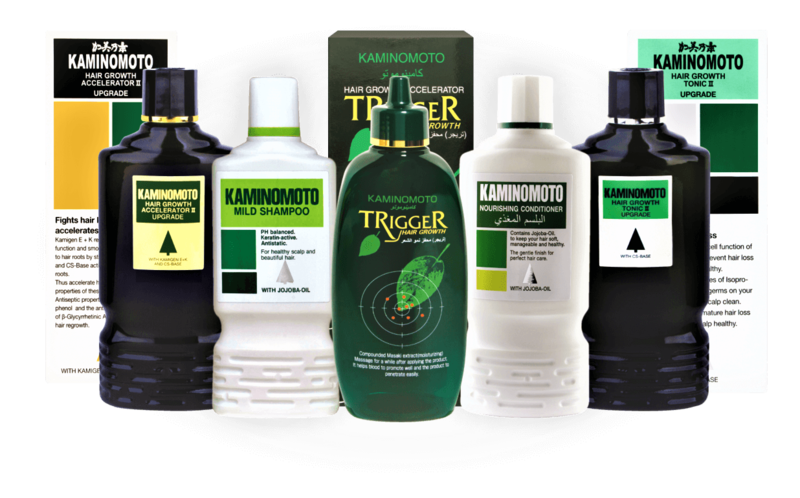 Kaminomoto Hair Care range includes Hair Growth Accelerator, Hair Growth Tonic, Hair Growth Trigger (with Masaki), Mild shampoo and Nourishing Conditioner. ATOPALM skin care products offer treatment for dry skin and sensitive skin to create the best-looking skin you’ve ever had. 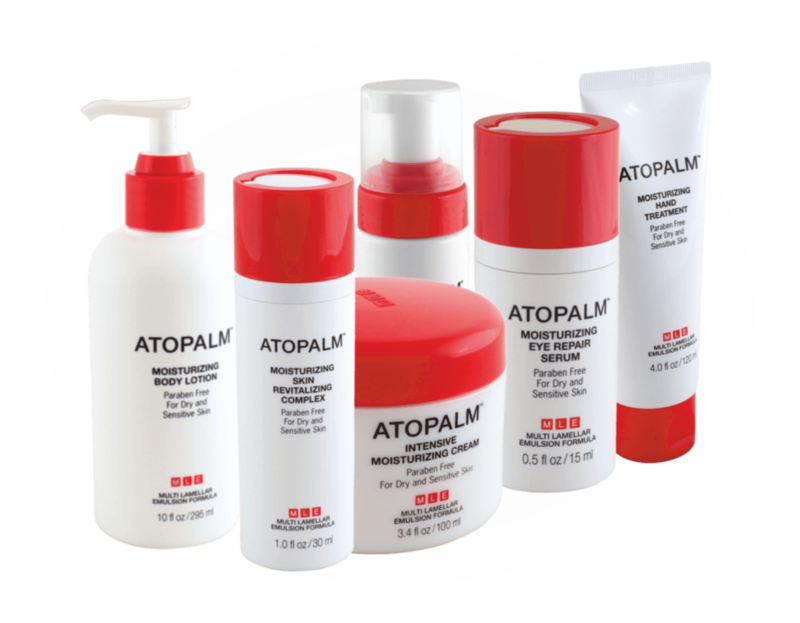 ATOPALM products also work as treatment for sun damaged skin, rosacea, post-treatment skin and allergy-irritated skin. Their time-fighting and multi-benefit formulas help to ward off visible signs of aging. Through patented technology and years of experience, ATOPALM has proven to be the best skin care for sensitive skin and dry skin. ATOPALM has a wide range of skin care products including moisturizers, creams, serums, cleansers and more. They are paraben free, non-greasy and quickly absorbed. Raptakos, Brett & Co. Ltd has been serving the medical profession, with a range of quality healthcare products over the past eight decades. The range of unique Pharmaceutical and Nutraceutical products emerging from original concepts, are in great demand with leading hospitals and are widely prescribed by Pediatricians, Gynecologists, GPs and Cardiologists. 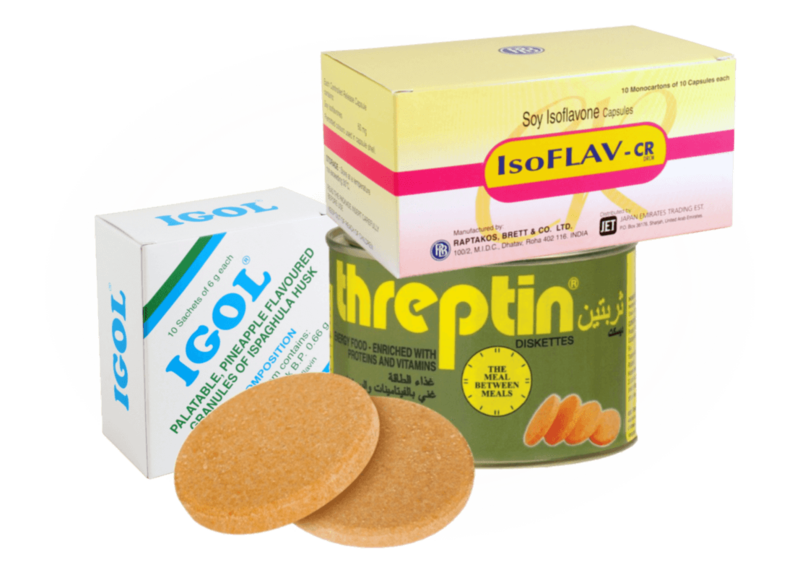 Threptin Diskettes, IGOL and ISOFLAV-CR are a few of the most well-known products available. Raptakos, Brett & Co. Ltd has many firsts to its credit in terms of technology, products and innovations. Our products is not a drug and is not intended to diagnose, treat or prevent any disease. Initial improvement is often seen in 2 weeks with complete results after 2-3 months of regular use. Individual results may vary. The text contained in this web site is for informational purposes and is not meant to substitute for the advice provided by your own physician or other medical professional. You should not use the information contained herein for diagnosing or treating a health problem or disease, or prescribing any medication. You should read carefully all product packaging. If you have or suspect that you have a medical problem, promptly contact your health care provider. Information and statements regarding cosmetic grade products are not evaluated by the Food and Drug Administration and are not intended to diagnose, treat, cure, or prevent any disease. This license shall automatically terminate if you violate any of these restrictions and may be terminated by www.japanemiratestrading.com at any time. Upon terminating your viewing of these materials or upon the termination of this license, you must destroy any downloaded materials in your possession whether in electronic or printed format. The materials on www.japanemiratestrading.com's web site are provided "as is". www.japanemiratestrading.com makes no warranties, expressed or implied, and hereby disclaims and negates all other warranties, including without limitation, implied warranties or conditions of merchantability, fitness for a particular purpose, or non-infringement of intellectual property or other violation of rights. Further, www.japanemiratestrading.com does not warrant or make any representations concerning the accuracy, likely results, or reliability of the use of the materials on its Internet web site or otherwise relating to such materials or on any sites linked to this site. In no event shall www.japanemiratestrading.com or its suppliers be liable for any damages (including, without limitation, damages for loss of data or profit, or due to business interruption,) arising out of the use or inability to use the materials on www.japanemiratestrading.com's Internet site, even if www.japanemiratestrading.com or a www.japanemiratestrading.com authorized representative has been notified orally or in writing of the possibility of such damage. Because some jurisdictions do not allow limitations on implied warranties, or limitations of liability for consequential or incidental damages, these limitations may not apply to you. The materials appearing on www.japanemiratestrading.com's web site could include technical, typographical, or photographic errors. www.japanemiratestrading.com does not warrant that any of the materials on its web site are accurate, complete, or current. www.japanemiratestrading.com may make changes to the materials contained on its web site at any time without notice. www.japanemiratestrading.com does not, however, make any commitment to update the materials. www.japanemiratestrading.com has not reviewed all of the sites linked to its internal web site and is not responsible for the contents of any such linked site. The inclusion of any link does not imply endorsement by www.japanemiratestrading.com of the site. Use of any such linked web site is at the user's own risk. Any claim relating to www.japanemiratestrading.com's web site shall be governed by the laws of the State without regard to its conflict of law provisions. General Terms and Conditions as applicable to Use of a Web Site.